Noob team here, we just picked up this fine piece of Italian garbage and it's a long way from even running but we're thinking about the cage. It's a little interesting because of the size of the car. So I'm wondering if anyone has any pics, tips, or can put us in contact with one of the other teams who have run the x1/9. Specifically I'm interested in the backstay angle and position, as well as where the main hoop sits in order to achieve the 2" space. Also, hi everyone, I'm Chris and am in the Seattle area. If anyone wants to grab a beer, I'd love to talk with local folks who have some Lemons experience. Best advice I can give you is pick another car, for an awful lot of reasons. Backstay issue and helmet head room issue can be solved by building an exo-cage. Run the front bars from the floor pan to a point above the top of the windshield with only one bend in them. Put the halo above the top of the windshield in the front and above the B column in the rear. Drill holes in the B column to drop the rear hoop down and make it so that the halo is wide enough to hang out over the top of the door line. Absolutely worst thing you can do is cut away that huge B column. I wish you success. 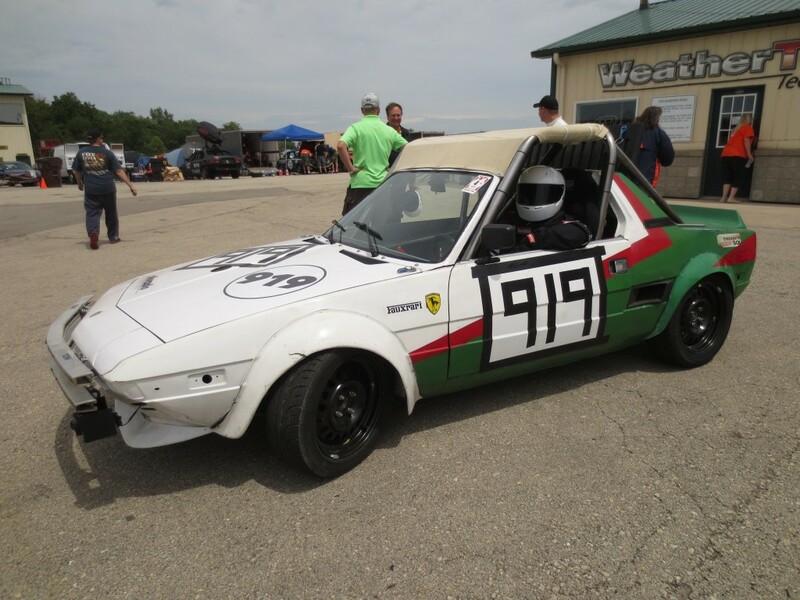 I haven't seen many Fiat x cars in Lemons, try looking up teams running an MR2. Same cage and handling issues. Thanks, googling exocage is what I needed. I have seen it done but just didn't know the best search term for it. Yea, looks like the 914 and mr2 have the same problems. There was a team running an engine-swapped X1/9 several years ago in the Midwest. 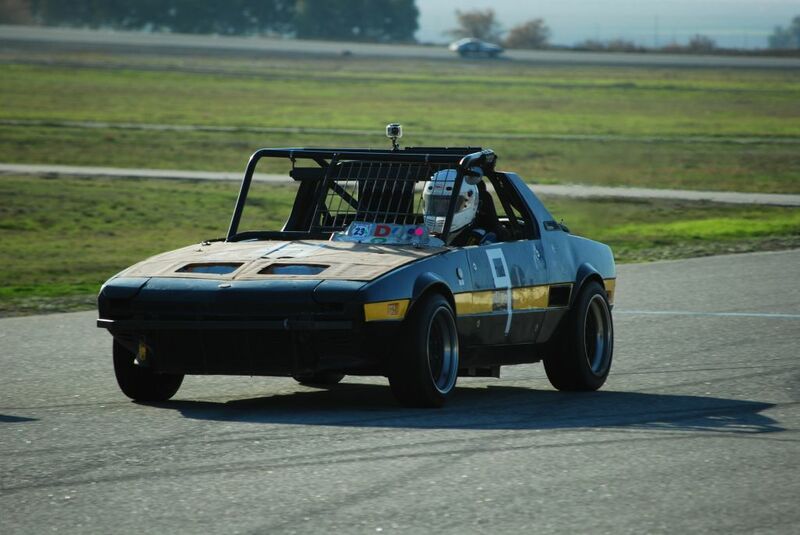 There has been a couple other x1/9s that have raced in Lemons as well. The few I've personally seen have all had cages that extended out of the body. Oh wow, no windshield either. Simpler times. I think this is their later iteration of that car. It was rotary powered. Dont recall seeing it for a few years now. We are a new team that plans to run an '81 X1/9. We met with our cage builder this morning to verify the seat location and measure up our tallest (6'-6") and shortest (5'-8") drivers. When we get the car back we can send pics. Apex Vinyl in Alvin TX is doing our cage. I'm the owner of the #919 X1/9 pictured above. That was at Autobahn with me in the car. The high back seat we chose was higher than the targa bar. So going over the targa bar with the cage was just easier especially since Lemons was requiring a rear window in a mid engine car at the time. So the easiest way was to just build the cage high enough to 45 the rear supports over the top. I have a many pictures of the original build including the cage. Contact me directly if you want me to send you some pictures. Also if you are looking for parts I can help you there as well. Just let me know. If you plan on using the stock drive train your in for a lot of heartache. 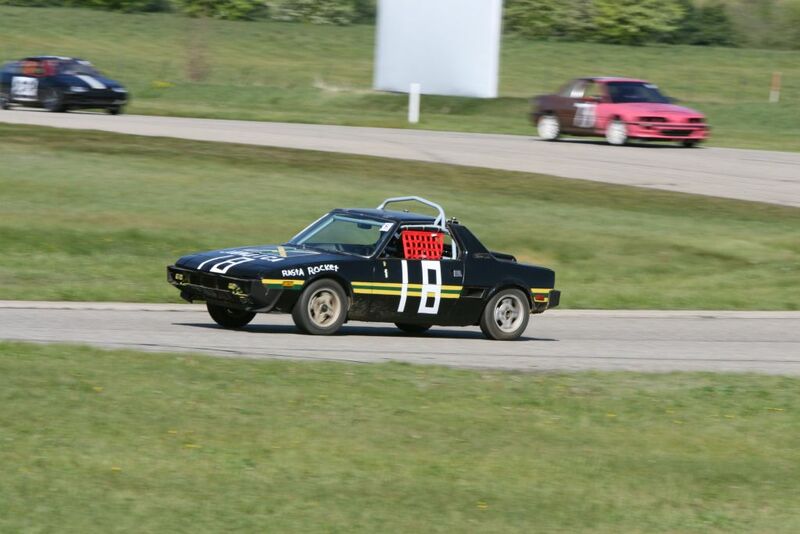 I have owned an X1/9 since I was 17 (I'm now 55) and figured racing an X1/9 in Lemons would be no problem. Many times we would make it through day one with no issues just to blow up on day 2. We did win IOE once, and were in contention to win class C a few times, but always walked a way a bit disappointed after one failure or another. A few times in the last 1-2 hours. The best option for an X1/9 in Lemons in my opinion is some sort of an engine swap. Splatos ran an Alfa v6 with success. Although the builders of Splatos were Alfa gurus. You can google "Splatos" Lots of information on line regarding this car. I was able to help provide them with some parts after there unfortunate incident at Road America when Lemons ran there. I have been meaning to sell the #919 car above, but just never got around to it yet. bg1963: Thanks for the advice. We bought the car with a blown head gasket, and after tearing into it, are not super optimistic about getting away with just a top end rebuild. I do have a vr6 and transmission sitting on the floor of my garage though.........but not sure how we can pull that off sub $500. Would be a terrible idea though. I'm the owner of the #919 X1/9 pictured above. If you put a VR6 in the back of an X1/9...don't worry about the letter of the $500 rule an focus on the "spirit" of what it is supposed to encourage. This is a very foolish idea and those are encouraged if they do not compromise safety. That might be the only way to make an x19 less reliable. I can not in good conscience recommend a vrsux swap. I agree it would be a bad idea and would be less reliable than a stock setup. But I'm interested about what in particular makes the vr6 trash for an endurance race? Cooling problems and timing chains are an issue, but aside from that, the engine itself is just about the only thing I haven't had a problem with in 10 years of Corrado ownership (ok not a super high bar...). But racing is pretty different (and I have no experience outside of short sessions), so I'll take your word for it. Well we have a team here in the Midwest with a couple of class B wins with one. I would consider it more reliable on the rack than a Honda B series engine in the hands of an average team. Our Scorpion managed to keep the cage mostly inside (due to John Pagel's massive skills). I'm 6'2" and just barely fit. But, back to the point. This is how to build an X 1/9 cage. The cars have similar structures. Oh yeah, we ain't selling it no more. I have never raced one. But worked at the dealer and Indi german car shops. I have seen 3 12 valve vr6 engines with melted pistons. and no compresson. these were stock cars. seems like its always 3 and 4. On no other stock engine have I ever seen this happen. my guess the middle cylinders EGT get to high but i don't really know. it may just be as easy as keeping coolant and oil temps down. if it was me I would use a 2.0 ABA with the later cable shift trans. that's an engine you cant kill. engine bay room is vary limited but I guess once you cut out the rear trunk you might be ok? Nothing wrong with the Fiat engine, other than being too small. Built right, and driven like you're endurance racing, they last. Look at Xweb for a good knowledgeable group. Lots of sports car racing history in these engines.